Before I begin, I need to give a bit of context as to where this article came from. The strategies in this article have been designed in response to a challenge made to me on Twitter: https://twitter.com/Zerjavo/status/756121559962644482. As we replied, the challenge was accepted, and I hope you like the two builds that I’ve procured for you today. After all, who doesn’t like a bit of burn damage? Or the forgotten Pyro-type? Probably one of the most forgotten types in existence, the Pyro-type is small yet fiery dedicated to putting up a fight. Consisting of 109 monsters, three of which are only released in the OCG, this type seems to be fairly neglected. To put it in perspective, the Psychic type already has 105 monsters, and it began in the Synchro Era! So we really don’t have all that much variety to choose from. The good news is, a large chunk of these monsters do revolve around a particular game mechanic: Effect Damage, perfect for the challenge that brought us here today. Back in the day, FIRE was seen as the main attribute into which card designers could throw any and all burn cards. And so a vast majority of burn cards were simply shoehorned into this attribute, because it thematically fit. Get burned by the FIRE monsters = logic. The problem is, the Pyro type consists of almost entirely FIRE monsters (fun fact, there is only 13 non-FIRE Pyro monsters), and almost all of these are within Duel Terminal archetypes (Gusto, Gem-Knight, Ritual Beast, Evilswarm). And just like the other small types, we really only have 1 or 2 archetypes to work with. The good news is that the one and only fully Pyro-type archetype is all about Effect Damage – the Volcanics! The Volcanic archetype consists of a bunch of FIRE/Pyro monsters that like to inflict damage. They are supported by a set of Blaze Accelerator cards, and overall, the theme is very advantage-conscious. So at least we got one part of our strategies out of the way: the core engine will most definitely fall to the Volcanics. Now let’s see what happens when we take creative spins to fill in the rest of the decks! For our first strategy, we’re going to go all in with the FIRE attribute, as our entire Main Deck will be consisting of FIRE monsters! But before we talk about everything else, let’s introduce which Volcanics will be featured and what their role will be for our strategy. First up, we have Volcanic Rocket, the ‘Blaze Accelerator’ searcher that activates any time it is summoned. I hope you knew the following already, but you cannot ever hope to have a functioning Volcanic deck without this monster leading the charge. Your support cards really are that necessary to tie the entire theme together. Next on our list is Volcanic Scattershot, the themed Raigeki that also burns 500 damage in the process. The moral of the story for this guy is use one of your Blaze Accelerator cards to get it to the Graveyard, then immediately send the other two from your hand or deck to the Graveyard to destroy all of your opponent’s monsters. Also, your opponent takes 1500 over the course of a couple chainlinks. Burning while scorching your opponent’s monsters – count me in! You’ll also want to run Volcanic Shell, a monster that searches another copy of itself whenever it is in the Graveyard. In other words, it is the start of where the advantage starts to set in, as you get to effectively cycle them out of the deck rather quickly. For our last Volcanic to make an appearance, we have Volcanic Counter, a card that equalizes battle damage. Whenever you take any battle damage while it is in the Graveyard, it banishes itself and your opponent takes the same amount of damage, just as long as you have any FIRE monster in your Graveyard! This really puts a damper on any attempts to OTK you if your opponent is already sitting at a low amount of LP. Which they should be, due to the innate burn power of Pyro monsters. As strong as each of these Volcanic monsters can be, their true power lies locked behind their key Blaze Accelerator support card, Blaze Accelerator Reload. Its main effect is that once per turn, during either player’s Main Phase, simply ditch a Volcanic monster and draw an additional card. On its own, this seems pretty bland and boring. But when you consider how it interacts with Shell, Scattershot, or Counter, the card immediately becomes everything the theme ever needed. Also, you can banish Reload from your Graveyard to send any Volcanic monster from your deck to the Graveyard during the Main Phase. So not only do you have a way to trigger Scattershot from your hand during either player’s turn for a draw, but you also have a method for sending it straight from your deck to trigger its Raigeki-esque effect! While all of these cards sound great in a vacuum, the Volcanics cannot ever hope to achieve their dreams alone. In the past, they have shown competitive promise with a full trap lineup, but we want to focus on burn damage today. So let’s bring in the other Volcano-based archetype – the Laval! The Laval archetype hails from the Hidden Arsenal sets, and it features a series of monsters that like to load the Graveyard with large numbers of monsters before going into large plays. But when it comes to burn damage, they really only have one monster – Laval Magma Cannoneer – and it seems very lackluster. 500 damage for a discard does not seem worth it. While traditional Laval decks rely upon Rekindling to really get things going, our Volcanic/Laval deck actually can just use that as a backup plan, because it never hurts to throw in a card that results in multiple Synchros with no drawbacks. Thus, we have two archetypes, both are FIRE and both feature Pyro monsters as well. But where do they tie together, how do the two have any synergy at all? This my friends, is where the true Effect Damage focus of the build begins to shine through. Introducing Flame Spirit Ignis, another FIRE Pyro monster that deals in hefty burn damage. By tributing a FIRE monster, you get to inflict 100 damage per FIRE monster in your Graveyard. Alone, this effect is not going to mean much. But take note that it does not have a once per turn restriction, and both Volcanics and Laval do an amazing job at throwing tons of FIRE monsters to the Graveyard! To take this hybrid one step closer to viability, we will tie in one final tech card to bring everything together: Ties of the Brethren – soon to be finally released into the TCG. This Normal Spell card carries a hefty cost – 2000 LP to Special Summon 2 additional monsters from your deck. The catch is that you have to target a monster you control, and the summoned monsters must have the same Level, type, and attribute, but different names. Isn’t it wonderful that Volcanic Rocket, Laval Magma Cannoneer, and Flame Spirit Ignis all are FIRE, Pyro, and Level 4? And by using ties on any of them, you are guaranteed to also get a Blaze Accelerator Reload off of your Rocket? Lastly, don’t forget that if you pull off this combo late in the duel, you can always use Ignis three times following the resolution of Ties for copious amounts of burn damage! We’ve found a strong combo, we’ve found synergy, we’ve even got a backup plan in the form of Rekindling… Therefore, we’re left with the question of what else could a Pyro Burn deck need? What about even more tributes for Ignis? Once again, the Laval archetype pulls through for our purposes. Searing Fire Wall may seem useless or counterproductive to most Laval variants, but for our purposes, it is just another way to guarantee even more burn damage. You see, it is a way to generate 4 more tributes for your Ignis, and even though you are diminishing the total number of FIRE monsters in your Graveyard, you are still going to have some left due to the Volcanics. Even if you banish 4 Laval, (which is taking away 400 LP from Ignis tributing itself), all you need is 1 more FIRE monster in your Graveyard to use Ignis 5 times (once for each token and then itself) to get more damage than you lose. Let me clarify and bring us full circle: 100 Effect Damage per FIRE monster is admittedly not a lot of Effect Damage. But when you are able to use Ignis’s effect up to 8 or 9 times in a single turn, that damage really starts to add up! Hopefully I’ve convinced you of this creative deck’s potential, so let’s take a look at a sample decklist. When looking at the list, be sure to notice a couple of my Extra Deck selections. In particular, take a look at Brotherhood of the Fire Fist – Horse Prince, since it can add a lot to the strategy. If you do happen to go into a Synchro Spam, you can actually choose to end with using Ignis instead of just relying on a lucky Quasar like most Laval variants turn to. With Horse Prince, you manage to load your Graveyard with 2 more FIRE monsters without sacrificing a tribute for Ignis, since Horse Prince brings a Volcanic Counter straight out of the deck when it is summoned. This lets you even use your FIRE Extra Deck monsters to bolster the amount of Effect Damage you are dealing. If you are wondering about the reasoning for the double Volcasaurus, just remember that this deck does spam out Level 5 Synchro monsters like noone’s business when it does go off, and Volcasaurus may just be the best burn-oriented Xyz monster in the game. Also it is FIRE to follow up with an Ignis after using its effect. 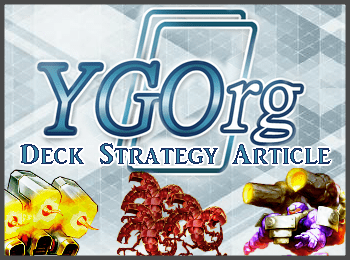 At the end of the day, your personal build of a strategy like this could vary in many ways from mine, but this decklist was built to show off the deck and hopefully convince you that the Pyro type is not completely dead and gone after all. But I’m not quite done yet – before you pass judgment, please take some time to check out the second strategy of my article, and this time, we are throwing off the unreasonable shackles of the Pyro type! We had our fun, didn’t we? Now it is time to build a Pyro-centric deck that has a bit more power behind it. Besides, who has ever created a strong deck without considering monsters of other types? Well, I believe it’s time for me to put a crazy spin on a burn deck! Instead of focusing so heavily on the Pyro type, let’s just focus heavily on Monsters in general! Sure, the Volcanic cards function better with their Blaze Accelerators, but we don’t really need any more than 2 copies of Reload since Rocket searches it from deck or the Graveyard. By all means, I’d like to stick within the confines of the initial challenge – burn damage. Therefore, that’s where our key card comes in, the card the deck will quickly grow to revolve around, Berserker Soul! This Quickplay Spell card may just be the perfect example of a high risk, high reward card. You’re banking everything on the next seven cards of your deck being monsters. Now if you are already deck thinning away your traps due to Rocket, that guarantee actually isn’t too far fetched. But the biggest problem for such a monster heavy deck is guaranteeing that the direct attack deals 1500 or less damage… Thanks Yugi and Breaker, the Magical Warrior. So we have to call upon yet another archetype to help us out, since the Laval cannot fill the hole this time, and just because it fits so perfectly, we’ll use an archetype from another under-represented type: Thunder! Bring on the Watts! The Watt archetype is composed of LIGHT Thunder monsters that mainly share the ability to direct attack. And for those members that can’t, there is always a support spell to let you do it also! We’re only going to be using a few Watts here, specifically Wattcobra and Wattgiraffe. The first let’s you add a Watt to your hand after a successful direct attack, and the second prevents your opponent from using ANY effects for the rest of the turn. Sure, they can be seen as weaklings. However, if your opponent cannot stop their attacks, you will quickly swing into a dominating position, or you simply will run over everything they attempt to muster in defense. Either works. BUT WAIT, THERE’S MORE. The Watts aren’t the only archetype that we will be calling in! We are also going to be getting assistance from a Speedroid engine to provide a bit more coverage in the Rank 3 department. Speedroid Terrortop will provide an excellent opening, while also giving access to a bit more versatility such as Synchros. And since this is going to be developing into a monster mash after all, we better call in Superheavy Samurai Thief! Oh and by the way, don’t forget the Performage Trick Clown and the Heroic Challengers. Yes, the glory days of ClownBlade can still live on for Monster Mash variants. Moral of the story is simple: we are definitely going to have a lot of archetypes in play in this strategy. But that truly is the point – you want your monsters to carry the duel, so it only makes sense to run the best monsters you can from all walks of YGO. So let’s return back to the initial premise with a question – Why do we even care to run Volcanic monsters in here? Don’t we have enough spamming and fun stuff on our own without them? Do they even add anything to this build, or simply fall in line because they are Pyro-type and Quincy needed to be able to call this a Pyro variant? Sure, Rocket let’s you run traps (that also banish themselves from your Graveyard), but you also have the power of Scattershot at your disposal. To be blunt, most Monster Mash variants don’t have a field wipe at their disposal. They just don’t. And even if they do rely on Black Rose Dragon or some other mass destruction option, it is not nearly as consistent or as re-usable. Scattershot fills this role well, while also hitting your opponent for burn damage. To put everything in perspective, Scattershot’s 1500 + Wattgiraffe‘s 1200 + Berserker’s Soul‘s 3500 is almost game just by themselves. All you really need is a bit more damage, and the rest of your deck can definitely manage the last 1800 points. That’s where Volcanic Counter comes in. You may not be relying on the Volcanics as too much of a crutch, but you definitely can use them amazingly. But enough about this deck in an abstract sense, let’s give you a decklist to put some tangible concepts into your point of reference. Be sure to pay attention to some of the supporting cast that came along with our archetypes! For example, consider Marmitting Captain. Sure, it shuffles a card back into your deck for just a single draw, but that is HUGE if you want to be able to return a Scattershot back to be sent later for its field wipe. I cannot impress on you enough how helpful it is to have swarming capability tied into a setup monster. Another good tech that I am running is Eccentrick Archfiend, because it doubles as either Spell and Trap OR monster removal, whichever is needed at the time. Sure, it’s a useless Pendulum alone with no lowscale to call a friend, but when you are fighting a Pendulum deck, you can actually steal your opponent’s low scale with Superheavy Samurai Thief to unlock the power of the Pendulum Summon! At the end of the day, these techs and more are common showings in many different Monster Mash variants, but you really can tap into any similar cards because this build really is a Monster Mash at its core. Sure, we are running 2 Spells and 2 Traps, but since the Traps want to be in the Graveyard anyways, it is not too much of a loss if you happen to get unlucky and mill one of your Blaze Accelerator Reload with Berserker or Gallis the Star Bird. Royal Firestorm Guards – Normally featured in Volcanic decks, since it is a type-locked Pot of Avarice. It definitely helps to be able to reuse Scattershot multiple times, and this monster let’s you do it without Daigusto Emeral. Volcanic Doomfire – While he is actually the boss monster of the Volcanic archetype, he hasn’t seen much use ever. But it can be useful as a 1-of alongside 3 Blaze Accelerator Reload. Ceasefire – I have to say, this may be the most underrated burn card, despite being Semi-Limited. The amount of damage you can get out of this one card is ridiculous, especially in current times when swarming the field is natural. With decks relying on heavy LP costs, such as through Solemn Strike or Solemn Warning, it can even end duels in your favor that seemed like easy losses. Blazing Mirror Force – Use this trap for unexpected massive amounts of burn damage. It really does hurt badly. Trap Hole of Spikes – A more conservative version of Blazing, but it does not burn yourself. At the same time, it only destroys one monster. Just Desserts, Secret Barrel, Secret Blast – Not quite as powerful as Ceasefire, but these can be serious burn cards in their own rights. Ring of Destruction – Consider it a Blazing Mirror Force for one monster, that can pretty much be used at any time. Chainability is great in its own right, so be sure to consider this. Solar Flare Dragon – This is a tech option particularly for the first variant. While 500 damage is laughable, alongside Ties of the Brethren, Flare’s built-in protection will be functioning. And if you get two copies out, it will result in a slow burn as your opponent’s time runs out. Or until they draw any sort of removal. Again, your call! Sephylon, the Ultimate Timelord – A 4000 ATK point threat is nothing to scoff at, especially when it is easy to load the Graveyard with 10 Monsters. But let me be clear, this isn’t restricted to just the Mash variant! It can even be used in the first, due to your rampant milling. If this is a card you want to have, feel free to try it out, I like it a lot! Volcanic Queen – Non-targeting, non-destruction monster removal that also burns and can be used as fodder for Blaze Accelerator Reload if need be? Count me in. Brilliant Fusion – Since one of the Gem-Knight Fusion monsters uses a Pyro-type Fusion material, you can send any of your Volcanics to the Graveyard directly from the deck! Also, Garnet itself is Pyro, so you have that option if you really gotta stick with the same type for everything! As to our challenger – I hope you are pleased with the results, because it was truly a blast to create and refine these variants. I have to admit, I had a bit of help with the 2nd variant, but at the end of the day, these decks truly do reflect the best burn capabilities that I have found. Who knows, perhaps there are better ideas out there. But thanks again, specifically for giving me the push to design and write about something completely off the wall. I hope this inspires others to do the same! I won’t always be able to write an entire article in response, but I will keep those ideas in the back of my head for future CDS articles! As always, the lists above are just my personal builds. You may not expect much out of the Pyro type, but it most definitely can take you by surprise. Until the next time, keep innovating and building creative decks! Most of all, just enjoy dueling for the fun that it can be!